Astrid has been in NC for 35 years. Prior to her current position, she engaged as a professional and entrepreneur in Multicultural Marketing and Multicultural Workplace Strategies for over a decade with her company Diverso Global Strategies. Her work provided for Fortune 500 Companies and large non-profit organizations the Cross-Cultural Competency, Multicultural Marketing, the Action Plans, Outreach, Training and Talent Acquisition and Retention strategies to effectively align our 21st century workplace. She was also a financial advisor at Merrill Lynch and has worked in the Corporate Communications, Public Relations and Marketing fields for over 15 years in the Research Triangle Area and the Charlotte Region. She was founder and partner in companies focused in Talent Realignment and in the Sustainability industries as well. Her passion and accomplishments towards the importance, impact and results that inclusion, innovation and the value of differences can generate in our economic growth, communities and workplace have been recognized by several local, statewide and national awards in both the business and in the diversity arenas. Her accomplishments and impact were recognized in May 2014 as one of the 50 Most Influential Women in Charlotte by the Mecklenburg Times and in September 2013 by the NFL Hispanic Heritage Leadership Award. 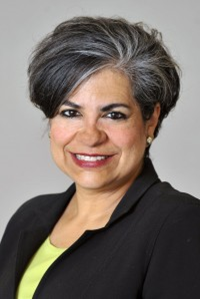 In May 2013 she was recognized by the Johnson C. Smith University Presidential Citation, for her efforts bridging opportunities and workplace disparities for Latinos and African Americans in our region. In 2012, Astrid was named one of Charlotte Business Journal’s 25 Outstanding Women in Business and in 2003 was also the recipient of the Charlotte Business Journal Catalyst of Diversity. The same year she received La Noticia’s EXCELENTE Business Woman of the Year Award. In 2006 the NC DIAMANTE Business Woman of the Year Award and the Community Engagement Woman of Distinction Award by the Girl Scouts Hornets Nest Council and 2009 she received the YMCA Spirit Award and the National Practitioner of the Year Award. In 2010 she was the recipient of the Maya Angelou “Women Who Lead” Award and the Urban League’s Whitney Young Jr.
She currently serves on impactful non-profit boards such as YMCA Metro Board, Community Building Initiatives Board, Centralina Economic Development Commission, Johnson C Smith University Board of Trustees and has led or served on many other community boards in our region such as the Charlotte Mayor’s International Cabinet, the Charlotte Chamber of Commerce, the Workforce Development Board of Mecklenburg County, the Latin American Chamber of Commerce, The Levine Museum of the New South, The NC Center for Public Policy and the Children Theater of Charlotte among others. Astrid also was one of the initial CMS 16 Member Community Leaders Taskforce created in 2006 to help reevaluate the Structure and Governance of the school system in Mecklenburg County that resulted in the formation of today’s MeckEd organization. Astrid is a graduate of the McColl Center Innovation Institute, the Leadership Development Institute from Community Building Initiatives and Leadership America NC. Her country of origin is Caracas, Venezuela and she is an honors graduate from St. Mary’s College and North Carolina State University in Raleigh, NC. Astrid has been a speaker, panelist and interviewee in a variety of local, national and international programs and conferences.